The British Heart Foundation Cymru (BHF) is calling on all crafty shoppers from Cardiff to help beat heart disease by taking part in The Big Stitch campaign. 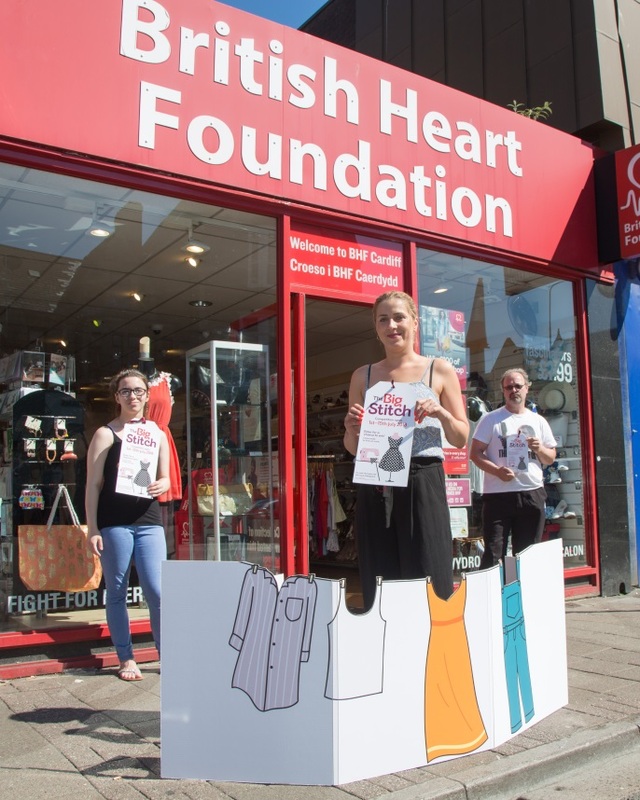 Launched on 1st July for two weeks, style seekers can help raise vital funds for life saving heart research, by buying an item from the Cardiff Albany Road BHF Cymru shop and adding their own personal stamp to it. The best will be in with a chance of winning one of three fantastic prizes. The Cardiff BHF Cymru shop, based at 45 Albany Road, is one of 530 BHF clothing and accessory shops across the UK. BHF shops are full of amazing finds that can easily be adapted to suit your personal style, through utilising basic sewing skills and adding decorative items. Each item sold in BHF Cymru shops will help to raise money to transform the lives of around 32,900 people from Cardiff, living with heart and circulatory diseases. With around 8,830 people in Wales devastatingly losing their lives to conditions including heart disease, stroke and heart failure every year the charity say it is essential to accelerate research in to new treatments. Terry Hughes, the Area Manager for the BHF Cymru’s Cardiff shop said: “We are really excited to see shoppers from Cardiff injecting their own fashion flair in to our vast range of high quality donated clothes and accessories. From dresses to skirts and shirts, BHF shops provide a large range of quality clothing and accessories which can be turned into bespoke items at affordable prices, with all profits going towards the BHF’s life saving heart research. The Cardiff Albany Road BHF Cymru shop is located at 45 Albany Road, Cardiff, South Glamorgan, CF24 3LJ. Tel: 029 2045 1455.